I know there are some people out there who love anything that is “natural” (and they live in Cambridge) and love things such as “botanicals” (I don’t know why I put that in quotes… but it seems grammatically correct?). All medicine (including the creams for your skin) come from either nature or are manmade in a lab (in Cambridge?). Penicillin comes from a mold derivative; Botox comes from a bacteria derivative, ect. Ect. It’s getting cold out and like I said ‘Tis the Season for Chemical Peels! Both of these things necessitate hydrating products for your skin. Here’s a list of ingredients your cosmeceutical/pharmaceutical skin care products should have in them! Alpha Lipoic Acid – a powerful antioxidant that destroys free-radicals before they can destroy cells. Alpha Lipoic Acid also enhances the potency of Vitamin C and E. It occurs naturally in green, leafy vegetables. Lactic Acid – A multi-purpose ingredient used as a preservative, exfoliant, and moisturizer, and to provide acidity to a formulation. In the body, lactic acid is found in the blood and muscle tissue as a product of the metabolism of glucose and glycogen. It is also a component of the skin’s natural moisturizing factor. Lactic acid is an alpha hydroxy acid occurring in sour milk and other lesser known sources such as beer, pickles , and other foods made through a process of bacterial fermentation. Lactic acid has better water intake than glycerin. Studies indicate an ability to increase the water-holding capacity of the corneum layer is closely related to the absorption of lactic acid; that is, the greater the amount of absorbed lactic acid the more pliable the corneum layer. However, other research has shown that lactic acid can indeed inhibit melanin production separate from its action as an exfoliant on skin. Superoxide Dismutase – Used in cosmetic preparations to prevent drying and aging of the skin without causing irritation. Ubiquinone (Idebenone) – Potent antioxidant with effective anti-aging & anti-wrinkle properties, reinforces collagen & elastin production of connective tissue, potent moisturizer (liposomes penetrate into skin preventing water-loss). Vitamin C – A well-known anti-oxidant. Synthetic analogues such as magnesium ascorbic phosphate are among those considered more effective as they tend to be more stable. When evaluating its ability to fight free-radical damage in light of its synergistic effect with vitamin E, vitamin C shines. As vitamin E reacts with a free radical, it, in turn, is damaged by the free radical it is fighting. Vitamin C comes in to repair the free radical damage to vitamin E, allowing E to continue with its free radical scavenging duties. Past research has indicated that high concentrations of topically applied vitamin C are photo protective, and apparently the vitamin preparation used in these studies resisted soap and water, washing, or rubbing for three days. More current research has indicated that vitamin C does add protection against UVB damage when combined with UVB sunscreens. This would lead one to conclude that in combinations with conventional sunscreen chemicals, vitamin C may allow for longer-lasting, broader sun protection. Again, the synergism between vitamins C and E can yield even better results, as apparently a combination of both provided very good protection from UVB damage. However, vitamin C appears to be significantly better than E at protecting against UVA damage. A further conclusion to draw is that the combination of vitamins C, E, and sunscreen offers greater protection than the sum of the protection offered by any of the three ingredients acting alone. Vitamin C also acts as a collagen biosynthesis regulator. It is known to control intercellular colloidal substances such as collagen, and when formulated into the proper vehicles, can have a skin-lightening effect. It is said to be able to help the body to fortify against infectious conditions by strengthening the immune system. Vitamin E – Considered the most important oil-soluble antioxidant and free radical scavengers. Studies indicate that vitamin E performs these functions when applied topically. 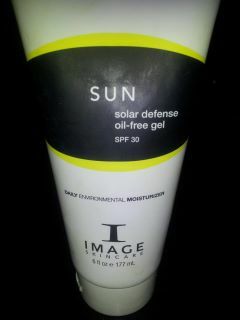 It is also a photo-protectant, and it helps to protect the cellular membrane from free radical damage. In addition, vitamin E serves a preservative function due to its ability to protect against oxidation. This benefits not only the skin, but also the product in terms of longevity. As a moisturizer, vitamin E is well-absorbed through the skin, demonstrating a strong affinity with small blood vessels. It is also considered to improve the skin’s water-binding ability. In addition, vitamin E emulsions have been found to reduce trans-epidermal water loss, thereby improving the appearance of rough, dry, and damaged skin. This vitamin is also believed to help maintain the connective tissue. There is also evidence that vitamin E is effective in preventing irritation due to sun exposure. Many studies show that vitamin E topically applied prior to UV irradiation is protective against epidermal cell damage caused by inflammation. This indicates possible anti-inflammatory properties. Lipid per oxidation in tissues may be on cause of skin aging. Vitamin E, however, appears to counteract decreased functioning of the sebaceous glands and reduces excessive skin pigmentation with is found to increase linearly with age. Vitis Vinifera – Grape Seed Extract –Anti-Oxidant – Moisturizing, nourishing properties due to high levels of linoleic acid. What should you be looking for in your cosmeceutical/pharmaceutical products for anti-aging? Here’s a list. Step 1: See a Professional. Black Tea Kombuchka – Anti-oxidant, Kombuchka contains a fermented extract of a mushroom found in Eastern Europe and Russia. Kombuchka’s effect on the skin has been scientifically studied. Studies are proving that it will become recognized as one of the most powerful anti-aging ingredients. Kombuchka, which decreases the greenish-gray tone that develops as the skin ages. Restores the skin’s healthy, rosy glow. It also smoothes and “plumps” the skin, reducing the appearance of lines and wrinkles. Emblica – Provides natural antioxidant skin protection against free radicals and cell protection against harmful damage through UV-radiation. Is also provides Ayurvedic natural care & protection. Green Tea Extract – A powerful anti-oxidant due to its catechin content. It is also know to be an anti-bacterial, anti-inflammatory, and a stimulant. In clinical studies, green tea has demonstrated an ability to prevent or to at least postpone the onset of such illnesses as cancer and heart disease. This is attributed to the catechin component’s ability to penetrate into a cell, thereby protecting the cell from free radicals and associated damage. Because of its anti-oxidant properties, green tea is usually incorporated into anti-aging formulations. When applied topically, it can also reduce skin swelling. In addition, it can be found in sunscreens based on its ability to extend the products SPF. Palmitoyl Olgopepide- Matrixyl –Palmitoyl Oligopeptides (also known as palmitoyl pentapeptide Matrixyl , amino-peptide (five amino acids linked together and attached to a fatty acid) Clinical research confirms that palmitolyl oligopeptides, when added to a culture of fibroblasts (key skin cells), stimulates collagen, elastin an glucosaminoglycans production. Retinol – (SUPER IMPORTANT INGREDIENT!!!) A retinoid considered a skin revitalizer, retinol is reported to enhance skin radiance and treat conditions associated with chronological aging such as wrinkles and fine lines, as well as dermatological disorders including, acne, follicular and lesion papules, actinic keratosis, oily skin, and rosacea. It is also considered necessary for normal epidermal cell growth and differentiation, for regulating collagen synthesis, and for maintaining a more youthful skin condition. A weaker retinoid than retinoic acid, retinol converts into retinoic acid once in the skin. When compared to retinoic acid, retinol has an increased penetration potential and is less irritating, making it an effective anti-aging ingredient. The anti-aging benefits of topically treating skin with retinal are believed to be based on its penetration ability, which allows it to reach the sites in the skin requiring treatment. **Personally, I use a Retinol product twice a week. 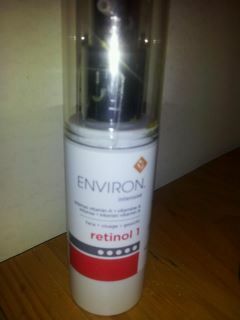 Retinol’s can be drying and cause redness, so go slow when adding this product to your skin regiment. If you are over 30, and not on a retinol product, please see an aesthetician ASAP! Vitamin A – Can act as a keratinization regulator, helping to improve the skin’s texture, firmness and smoothness. Vitamin A esters, once in the skin, convert to retinoic acid and provide anti-aging benefits. Vitamin A is believed to be essential for the generation and function of skin cells. Continued vitamin A deficiency shows a degeneration of dermal tissue, and the skin becomes thick and dry. Surface application of vitamin A helps prevent skin dryness and flakiness, keeping skin healthy, clear, and infection resistant. Its skin regeneration properties appear to be enhanced when combined with vitamin E. Vitamin A is a major constituent of such oils as cod liver, and shark, and many fish and vegetable oils. These definitions were given to me by an amazing aesthetician, Alexis Robertson, LME, of Image SkinCare. I’ve been using this product line for 2 years and I love it! If anyone wants to add to this list of ingredients, please add comments! I will be posting ingredient lists for acne, hydration, and skin discoloration in future blogs! 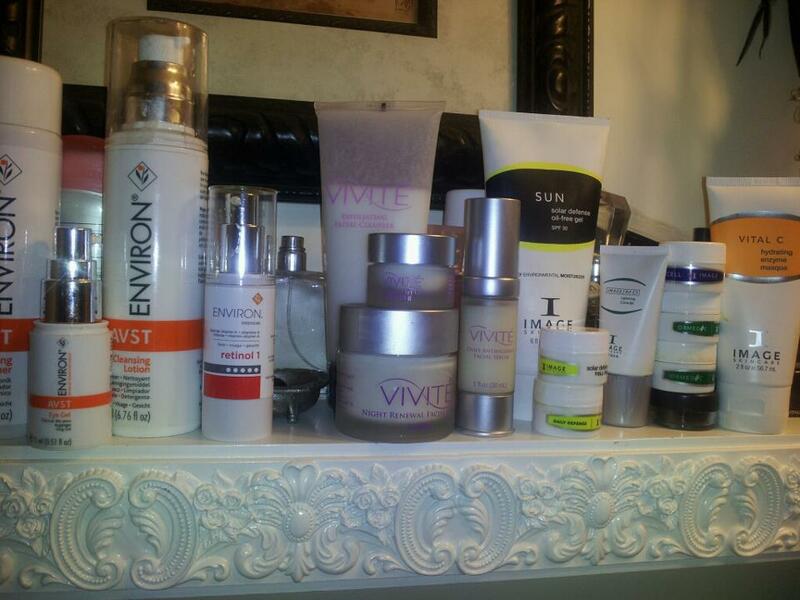 If you are going to take m y advice to see an aesthetician, expect that you will leave with a few products as well. But how will you know your making a good investment? Expect to need 2 or 3 products. No one needs 20 products in their medicine cabinet. Learning how to use more than 2-3 products is overwhelming. You should not feel this way! The products should be either pharmaceutical or cosmeceutical grade (see definition below). Although you might see change right away, it could take a few weeks to see the difference (skin cell turnover rate is about 3 weeks). Skin care is a step program, and your products should treat the current state of your skin. What’s wrong with your old products? Throw out the thousands of dollars of products that are just taking up cabinet space, and replace them with 3 or 4 that your aesthician recommends. After about 2 weeks you can throw out another thousand dollars of make-up that doesn’t match your skin tone, gets cakey, and makes you look older. 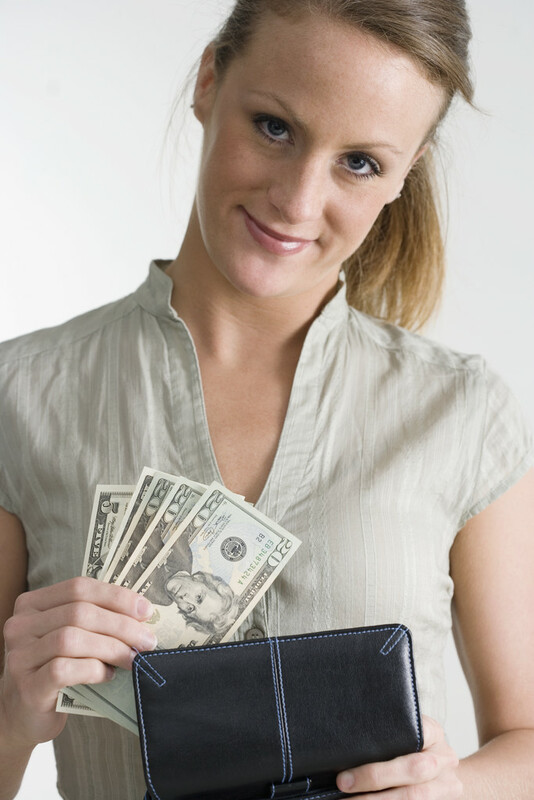 True, a little pricey to start, but you just threw out $2,000 of products that are not doing anything for you. It’s an investment, your face is worth it, and look how much money you’ll save on crap in the future! Cosmeceuticals: Definition: (noun) a hybrid word “Cosmetic” (smells pretty, feels nice) and “Pharmaceutical” (drug). A group of skin care products that work in the dermal level of skin, where all the physiological processes take place.